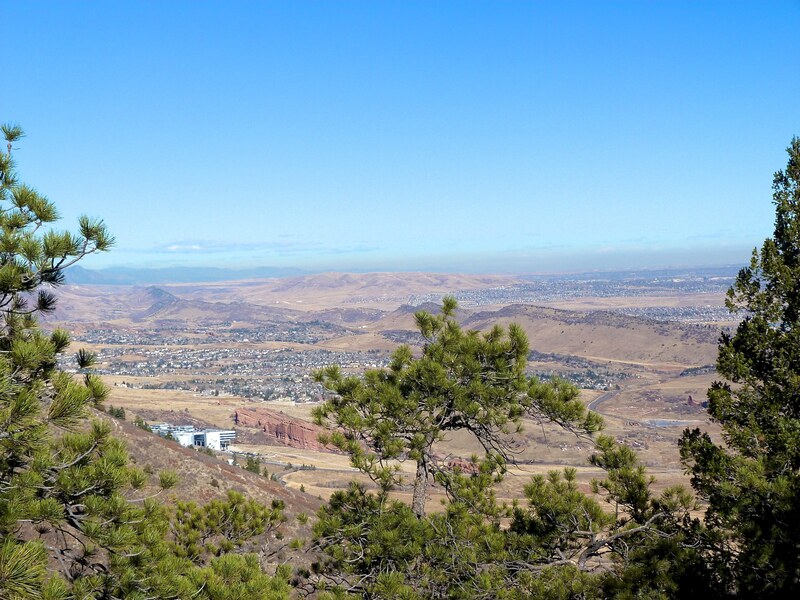 Deer Creek Canyon is a beautiful openspace in southwest Denver. It is a great place to stretch the legs and get some fresh air with out travling far from home. 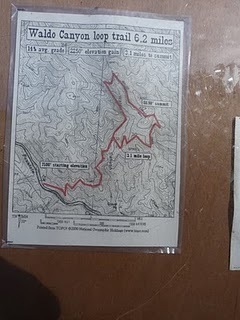 This post describes a route up and around plymoth mountain. There are many trails in the park you can find them here. 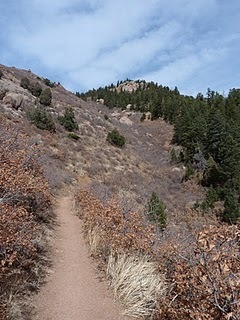 I hiked this route on a chilly april Saturday with my wife and our two dogs. 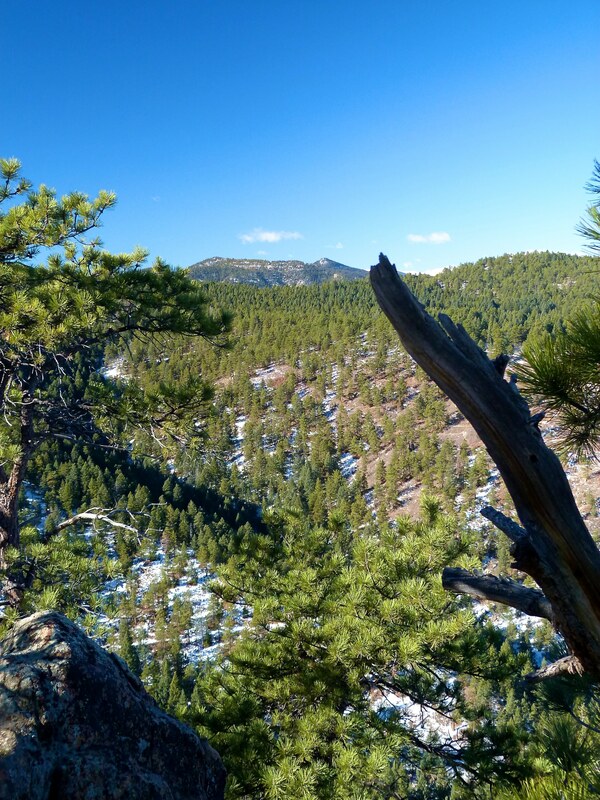 The pictures are from hiking the trail the previous February. 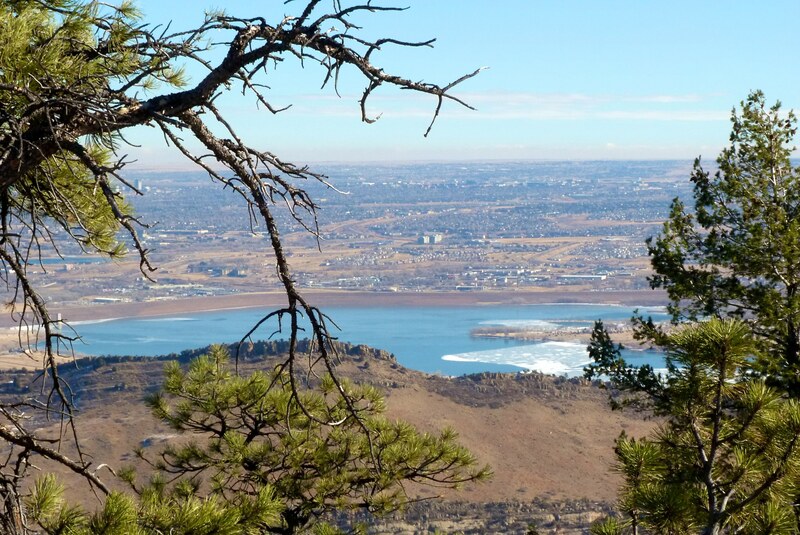 I would recommend hiking this in the off season, or a weekday as the trail is heavily used. 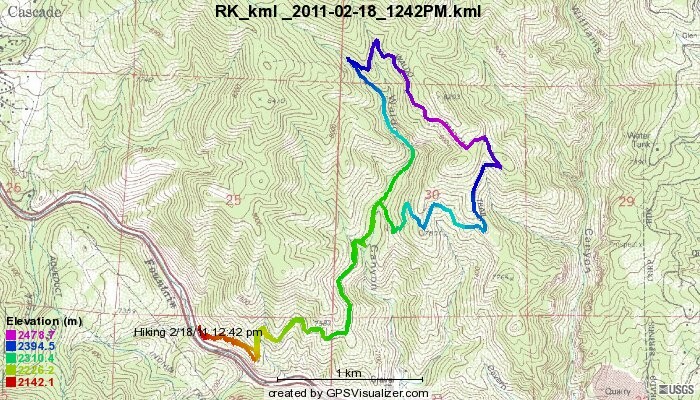 Here is a gps track detailing the hike. As you leave the parking lot you can choose to take the multi use trail marked Plymouth Creek trail to the left, or the Hiker only trail Meadow Lark trail to the right. The hiker only trail is a litle longer, it is a tight single track. The Plymouth creek trail is rockier / steeper and you will encounter a lot of bikers on the trail. It is nice and wide with plenty of room to pass. We decided to head up plymouth creek first and return via medowlark. The trail climbs steeply for the first couple of miles. After the first mile and 400 ft of climbing you will pass the intersection with meadow lark trail. The trail soon steepens even climbing 20 or so stairs. At about 1.5 miles you will hit an intersection with plymoth mountain trail. This is a loop with a quick side trip up to a senic overlook. The loop can be done in either direction. If you are looking to the shortest route to the top of the senic overlook continue straight at this intersection. We chose to hike by turning left at the plymoth mountain trail. 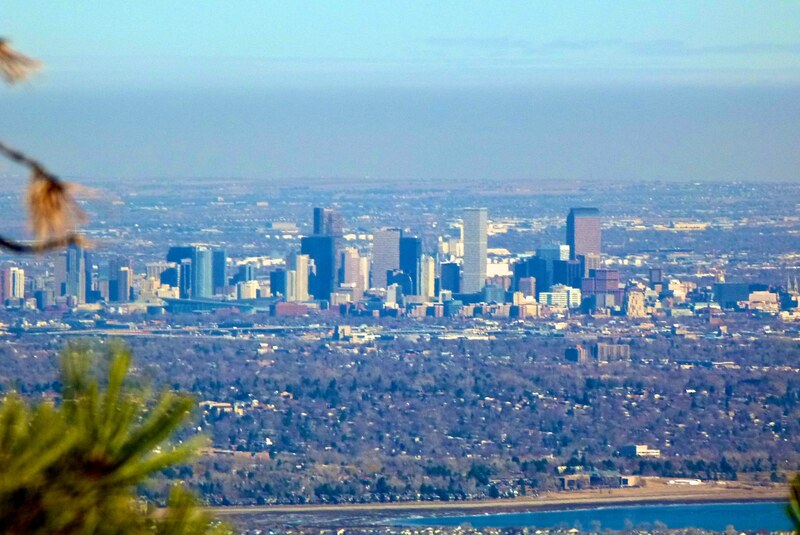 The trail has some nice views of the valey, you can even see downtown Denver on a clear day. Overall this is a nice hike I would recommend putting it on your list. 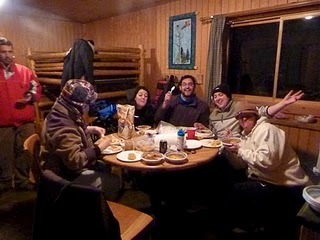 This February seven friends and I rented two cabins and a yurt at Golden Gate Canyon State Park, in Golden Colorado. 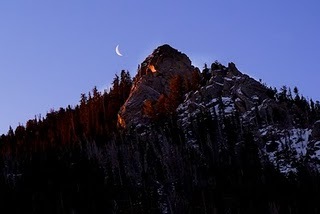 This is a really cool state park with tons of good hiking, and not to many people. 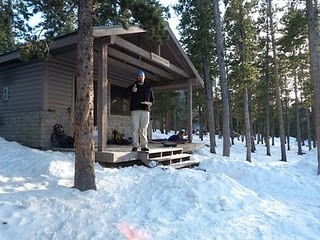 We decided to book the cabins to get in some winter camping with out the freezing cold nights. They are actually really nice cabins. They have electricity, a gas fire place, bunk beds, and plenty of room. We arrived around noon on Saturday. We decided to do a three mile loop near the cabins. The trail had just the wrong ammount of snow. There were long bare spots which made snow shoes impractical. There was also pretty deep drifts. 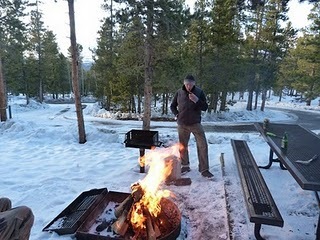 After we got back to the cabin we got a good camp fire going, and heated some chili in the crock pot. 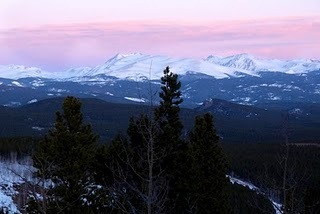 Sunday Morning I got up at dawn and went to near by panorama point to get some sunrise pictures. It was chili but beautiful. We were hoping to get in some sledding, but due to the poor snow conditions we decided to take another short hike and call it a trip. Over all I would highly recommend an overnight trip to this wonderful state park. 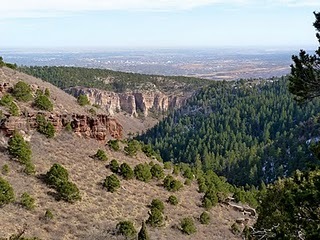 Waldo Canyon is a very popular trail off highway 24 near Colorado Springs. 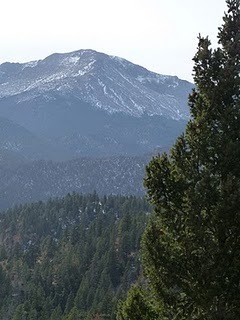 I hiked this trail in February with my dog Tripp. The trailhead is directly off Highway 24. After leaving the trail head the trail climbs steeply up and away from 24. It only takes 20 minutes or so to get out of sight / earshot of the highway. The hike is a nice gradual climb. You follow a lollipop shaped trail up into the canyon. 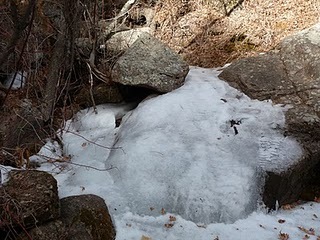 In the winter the west side of the canyon can have lots of ice. I would recommend having microspikes or some other traction device to do this hike in winter. 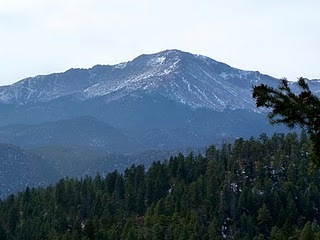 Near the top of the canyon you are treated to really great views of pikes peak. There is a back country campsite near where the loop starts. 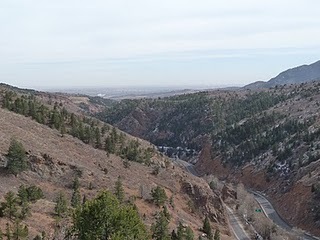 It looks decent but is sure to see tons of daytime traffic as it is directly on the trail.